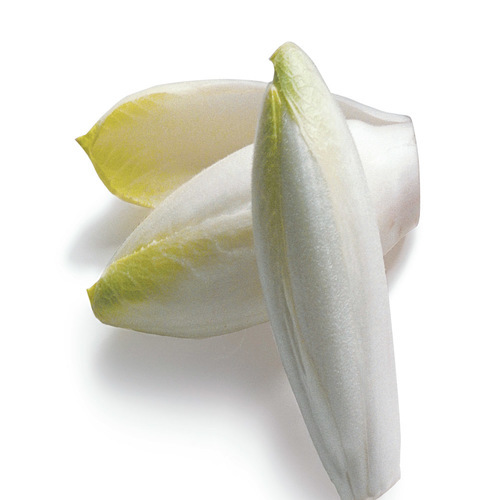 Cooked until tender, peppery endive is great alongside beefy skirt steak slathered with blue cheese butter. In a small bowl, mash 2 Tbs. of the butter and the blue cheese. Set aside. 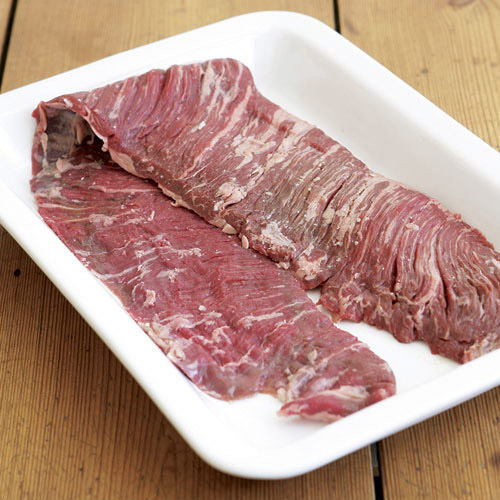 Pat the steaks dry and season with salt and pepper. Heat the oil in a large skillet over medium-high heat. add the steaks and cook, flipping once, until nicely browned, about 4 minutes. Reserving the skillet, transfer the steaks to a small baking sheet and roast until medium rare (130°F to 135°F), 3 to 5 minutes. Let rest for 5 minutes. Meanwhile, arrange the endive in one layer in the skillet. Dot with the remaining 2 Tbs. butter and drizzle with the honey. Cover and cook over medium heat, stirring occasionally, until tender, about 5 minutes. Season to taste with salt and pepper. 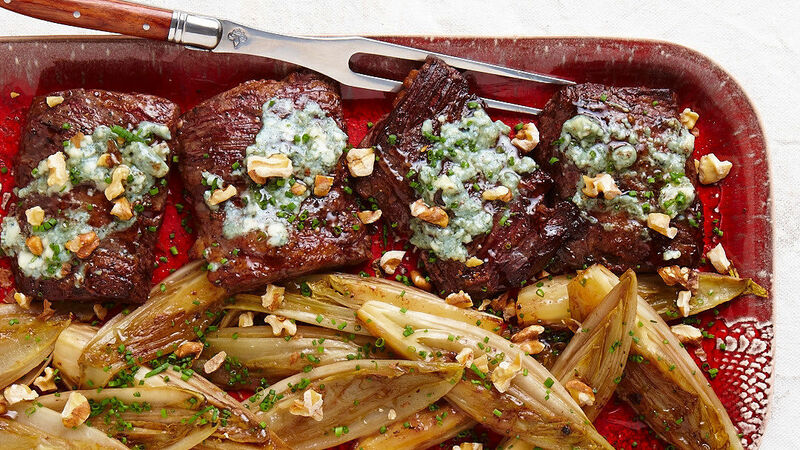 Arrange the steaks and endive on a platter. 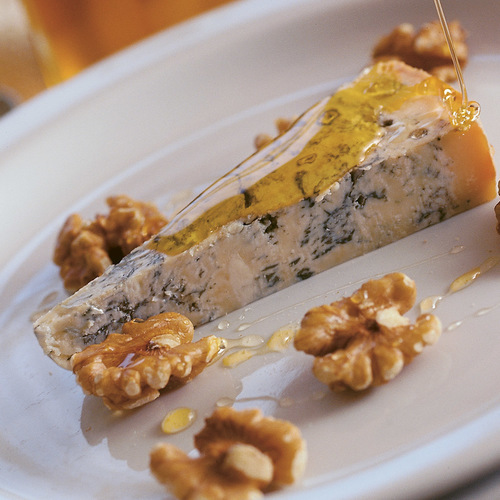 Slather the steaks with half of the blue cheese butter, and drizzle lightly with additional honey, if you like. Sprinkle with the walnuts and chives, and serve. We didn’t have endive so I just made the skirt steak - delicious! I will definately make again. This was easy and delicious! My boyfriend said the gorgonzola really brought out the flavor of the steak. The honey on the endive with the gorgonzola and crunch of the nuts was lovely. Will definitely make again for dinner parties or even a weeknight dinner! This was amazing and so easy. My husband said he was fine if we made this every night.